Bon Jovi have teased a brand new album as they start work in the studo.. The 'Livin' On A Prayer' rockers played a snippet of a new song on Instagram over the weekend at the Ocean Way Nashville Recording Studios, giving fans the first hint of a much-anticipated new LP, the follow-up to their 2016 chart-topping record 'This House is Not for Sale'. At the end of the 30-second video, frontman Jon Bon Jovi simply said: "Day one, song one, new record, see ya!" The video pans the studio and shows the rest of the band – including Tico Torres, David Bryan, Phil X, and Hugh McDonald – in the studio with earphones on. The 'Knockout' hitmakers will hit the road this summer for their first stadium tour across the UK in six years, including shows at London's Wembey Stadium and Liverpool's Anfield. Kicking off in Liverpool on June 19, the tour will see the iconic group move onto the legendary London venue before bringing things to an end at Ricoh Arena in Coventry on June 23. The London show will be special for the band after they had to cancel a show more than a decade ago because the new stadium wasn't ready yet. 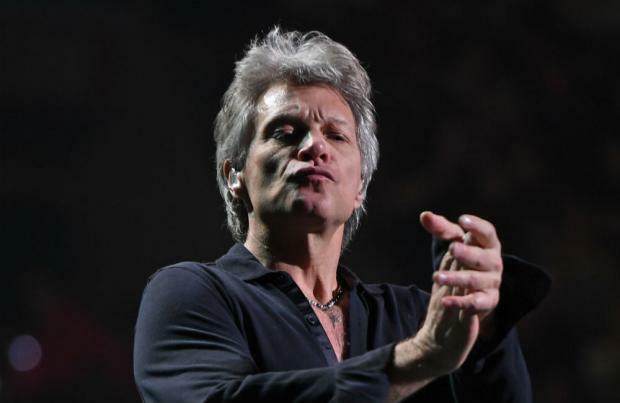 In a statement, frontman Jon Bon Jovi said: "Those huge shows, tens of thousands of people all together as one, that's what we do. And we've got a few things to put right by playing Wembley Stadium. "We were so excited to be the first band to play that new stadium, I would have helped build it myself to make it happen. So we have a new history to write there. We've had some great nights at the Ricoh too. "Throw in Anfield as a new venue – OK that's just us showing off! We're honored to play there and the first thing I'm doing is getting that iconic picture under the 'This Is Anfield' sign." The 'This House Is Not For Sale' tour will see Manic Street Preachers join the bill as special guests.